The world is awash in trade-distorting subsidies. Since the financial crisis of 2008, governments have adopted massive "stimulus" packages that have included taxpayer subsidies for industries, such as agriculture, alternative energy, and automobiles, which have distorted global markets, bred cronyism, and undermined free trade. These policies encouraged copycat subsidization, which spawned an increase in litigation at the World Trade Organization and led to the frequent imposition of protectionist duties via national countervailing duty (CVD) laws. Trade reform is badly needed. Unfortunately, the U.S. government has little credibility on this issue: it is one of the world’s largest subsidizers, funneling billions of dollars annually to chosen industries, causing economic uncertainty, and creating breeding grounds for corruption. Yet, ironically, with 59 currently active or pending CVD measures affecting over $11 billion of imports, the U.S. government is also one of the most frequent users of anti-subsidy disciplines. 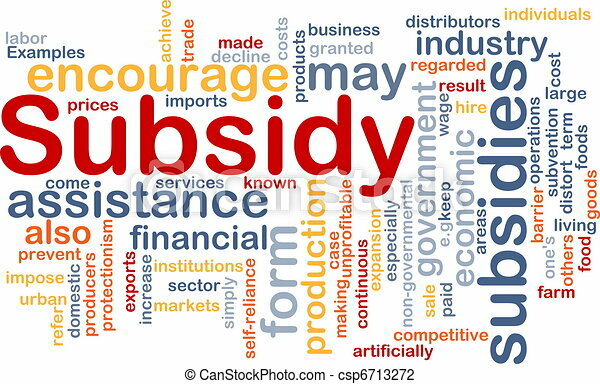 However, the CVD law and its application are rife with problems because the Commerce Department has too much discretion administering the law, which exposes subsidy determinations to subjective and opaque decisionmaking. The CVD law is punitive instead of remedial, making victims of U.S. consumers and consuming industries, aggravating U.S. trading partners, and exposing U.S. businesses to retaliation against their exports and intellectual property. By curtailing federal subsidies to favored industries and by reforming CVD procedures to ensure that they serve the rule of international trade law—rather than protectionist objectives— the U.S. government can reduce market distortions, restore some faith in free markets, and lead national and international subsidy reform initiatives.